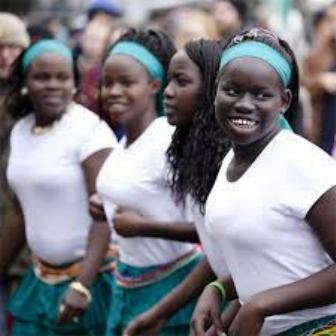 Alur are an ethnic group who live mainly in the Nebbi, Zombo, and Arua districts in northwestern Uganda, but also in northeasternDemocratic Republic of the Congo, north of Lake Albert. They are part of the larger Luo group, and their language is closely related toAcholi. Some Alur speak Lendu. 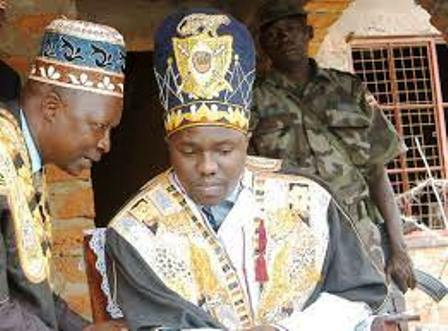 The Alur Chiefdom is probably the only one that was unaffected by the Ugandan ban on traditional monarchies in 1966. 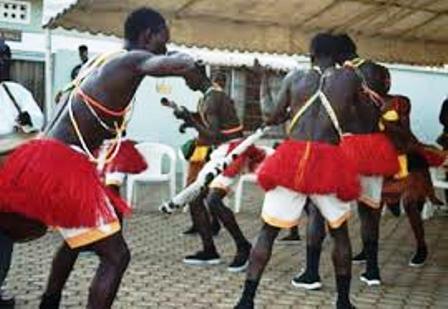 Their tradition states that they migrated from southern Sudan with other Luo following the Nile banks. Their original homeland is said to have been Rumbek on the confluence of the Nile and the Bahr-el- Ghazel rivers. They moved south along the Nile Pubungu whence they dispersed, some moving on to Bunyoro, others to Acholi, yet others to eastern Uganda and on to the Nyanza province of Kenya, while the Alur moved westwards to West Nile. Historians claim however that the Alur people are not purely Luo, but that they are a product of intermarriages between the Luo, the Lendu and the Okebu. But since the Alur people maintained the Lwo speech and other Luo customs they should be grouped that way. The Alur legend of origin says that there once lived a great King called Atira. He is said to have been a direct decent of God and when he died, his son Otira succeeded him. Otira is said to have in turn been succeeded by Opobo. Opobo ruled from a place called Nyraka in Lango County. When Opobo died, he left three sons Tiful, Nyapiri and Labongo. One day, Nyapir borrowed Labongo’s spear intending to spear an Elephant. Unfortunately, the elephant went away with the spear. When the news reached Labongo, he was very annoyed and he insisted on having back his own spear in spite of Nyapiri’s pledges to offer him a substitute. Therefore, Nyapiri decided to go follow the elephant and having crossed a big river, he found himself in a cool beautiful land.During his wandering in this land, Nyapiri encountered an old woman. The Old woman is said to have taken him to a place where, among other spears, Nyapiri was able to recognize Labongo’s spear. The old woman gave him a bead.When he reached home, he called all his brothers and presented the spear. Every one as amazed at Nyapiri’s story, more especially, at the bead. The bead was handed over for everyone to see and, in the process; an infant son of Labongo accidentally swallowed it. Nyapiri got his revenge. He also demanded that his own bead be given back. He refused all the possible substitutes. Left with no alternative, Labongo handed over the child to Nyapiri to open and retrieve his bead. Nyapiri killed the child and got out the bead. This act is said to have annoyed all the brothers so much that they decided to separate. Tiful having been impressed by Nyapiri’s story of a good country beyond the river, moved with his followers including Lendu and Okebu to the highlands in the west. His descendants are said to comprise of the Alur of Zaire. Nyapiri followed Tiful and traveled along the west bank of the Victoria Nile and finally camped with his followers in an area opposite Pakwach. The Land was not good for grazing and there being no salt licks his cattle began to graze away. One day some of the cows which had disappeared were said to have come back on their own and they had salt licks adhering to their hooves. Nyapiri gathered together his people and followed the track of the cows into the highlands of West Nile. He left behind one of his sons caked Dosha to rule Pakwach. Nyapiri then established himself in the west Nile highlands. The Alur had sort of religious marriage which was conveyed in the Mukeli gagi rituals. The actual ceremony took the following form:-Some times, a married woman would be afflicted by ancestral spirits of her own people. In such an event, her husband would get cowrie shells and take them to her home. There the shells would be tied to the pole of her father’s ancestral shrine. The husband would, in effect, be pledging to pay two goats, male and female, in order to rescue the cowrie shells because such shells were not supposed to remain at his father in-law’s home for ever. If the husband was already imitated into the religious cult, he would go to rescue the shells himself. However, if he was not yet initiated, he would not be allowed to go because a lot was involved which he, as a non-initiate, was not supposed to know. But if he was willing to be initiated there and then, he could go. In fact most husbands preferred this alternative because at the end of the ritual, the woman would cease to be his wife if he was not yet a confirmed believer. Sexual relations with the former husband would stop forthwith if he was not yet a confirmed believer. If the initial husband hesitated to be initiated, the woman would ritually be married to another man who was already confirmed and who consented to have her as a ritual wife. The ritual husband would consider her to be his wife and would go ahead and have children with her.